Facilitated with massive industrial proficiency and understanding in this business sector, we are engaged in offering a massive collection of Stainer Plastic Bottle. 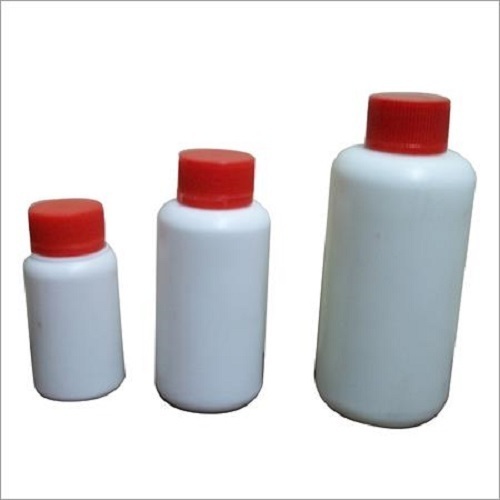 As a quality oriented company, we always strive for bringing high quality standards in manufacturing Plastic Stainer Bottle. We offer fine quality bottles that are extensively used in various pharmaceutical, automobile and cosmetic industries to store thinners and chemicals. Made out of premium quality plastics, the bottles are extremely durable and strong. This Plastic Stainer Bottle comes with vacuum sealing that keeps the chemicals and thinner safe from harmful elements. Clients can avail these bottles at very nominal prices from us. Established in the year 1998, in Mumbai, Maharashtra, we,'Komal Packaging" are engaged Manufacturer and Wholesale Trader wan extensive range of Plastic Bottle, Plastic Jar, Pet Bottle, Plastic Container, etc. Our firm manufactures the wide assortment of products using the supreme grade non-toxic material. Our range is developed following all the safety and hygienic factors. After being manufactured, our quality inspectors stringently examine these products on certain parameters to ensure their quality and flawlessness. The offered products are highly acclaimed for their remarkable features such as durability, leak-proof, moisture proof, unbreakability, dimensional accuracy and lightweight. These are in high demand households, hotels & restaurants, hospitals and clinics.